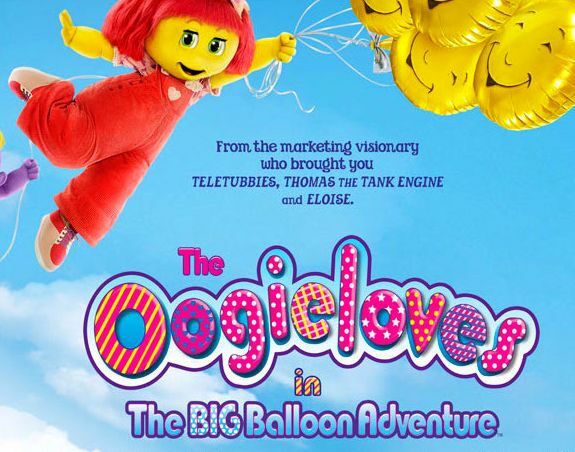 A few weeks ago I attended the movie preview for the Oogieloves in the Big Balloon Adventure. I’m a total kid at heart and even at my age still love watching cartoons and I was even more excited because it was Buggy’s first time at the movies. I also brought our 6 year old neighbor. When we first got there they had tables with crafts and bags for the kids to decorate. The girls had so much fun doing that. While the kids were playing and learning some of the dance moves from the movie, the parents were in a separate room listening to the producer Kenn Viselman, head of Marketing Eileen Potrock and Writer Scott Stabile. The movie itself was pretty good. It was great to be at the movies and not have to worry about the kids being disruptive or not being able to sit still. The movie tells you when it’s ok to get up and dance when you butterflies across the screen and when the turtles appear that is when you need to sit back down. During the dancing part many of the kids and adults were really into it. That was totally the fun part. The characters, Goobie, Zoozie and Toofie set out to find five magical balloons for their friend Schluufy's surprise birthday party. Along the way, they meet some very interesting real life “characters” - Dotty Rounder (Cloris Leachman), Bobby Wobbly (Carey Elwes), Milky Marvin (Chazz Palminteri), Rosalie Rosebud (Toni Braxton) and Lola and Lero Sombero (Christopher Lloyd and Jaime Pressly) that are supposed to help them on their journey. The older generation that attended the viewing were laughing a lot because they could relate to them but the younger generation had no idea who they were. Throughout the movie I would look around the theater to watch the level of interest and I could tell that the kids were loosing interest but once the butterflies came out we were all out of our chairs dancing again. Rosebud – Toni Braxton’s character could have been eliminated completely. Even I lost interest here so I can understand how the kids couldn’t relate to her. Her character was way too slow and should have been more kid friendly. Maybe if they used an animated characters that the kids knew, it probably would have been better. Lola and Lero’s characters were way above the age group. They dancing they did was definitely not kid friendly. They were not silly toddler dance moves. Maybe the wiggles should have done it. Voice overs – what you hear doesn’t always match up with mouth movement. I didn’t know who Bobby Wobbly was and I couldn’t relate so I’m sure the kids couldn’t either. Again these celebrity characters should be eliminated or use the wiggles –something the kids would totally relate to. Overall, I think the girls had a great time because this was something new to them. They were excited that they were able to get up and dance and a few times I had to reassure the 6 year old that it was ok. In the car I kept asking if they really did like the movie and they said yes and we kept singing Oogie, Oogie Oogieloves in the car. Even weeks later when my daughter sees the bag she’ll start to sing again and dance. So even with all that, I would still go and see the movie again with them because they enjoyed it and that is what it’s all about. I hope you do get a chance to take the kids to see the movie. I think it is a great experience for them and for the parents as well knowing that you can be a bit more relaxed knowing you’re not always have to tell them to “sssshhhhh”. We really do need that mom support sending the message that more movies like these should be made. Did you see the movie? Did your kids like it? LOL - I was offered tickets for it, but I know for a fact that it would have creeped out my son (not to mention me), so I decided to sit this one out.